It is important for businesses to be able to handle the queries, concerns, and requests of their customers. 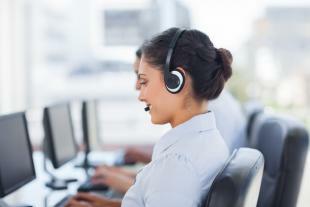 As the company grows, the need to train your customer support staff becomes even more urgent. Investing in customer service training courses allows your company to establish a competitive edge in the marketplace. It can ultimately decide in your favor once the customer decides to buy. ● Seminars – in seminars, there is usually one person speaking at the front who provides a lecture about customer service training. The speaker outlines tips, tricks, and advice on how to handle customers who are anxious, angry, or otherwise unsatisfied with the products or services they received. ● Workshops – these tend to be more interactive compared to seminars. The participants may sometimes be asked to answer a questionnaire to identify their strengths and weaknesses. The training itself may involve games and even teambuilding sessions among employees. ● Half-day Events – if your company simply wants to refresh previous lessons and remind the staff about customer service protocols, then the half-day event would suffice. However, for a more in-depth training, it is important to consider full-day or even multi-day training. ● Full-day Events – full-day events usually encompass both a lecture and a workshop. The staff will also be encouraged to share their experiences on the job so that the trainer can effectively address the exclusive concerns in the organization. ● Multi-day Training – this set-up is important for companies that are just starting out their operations. The multi-day customer service training courses completes a whole module. By the end of these sessions, the staff will be well-equipped to handle various scenarios. It can significantly improve the department’s call resolution rates. ● Training Materials – these will include all the things that had been discussed during the training session. The materials can come in the form of notes, PowerPoint presentations, and videos. Using these after the session will refresh the lessons in the memory of your employees. Customer service training courses can definitely improve the morale of your staff, thereby increasing customer satisfaction as well. When the agents feel prepared to handle the challenges of their jobs, they become even more committed to it. Ultimately, your company is poised to benefit most from customer service training courses.